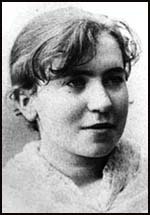 Emma Goldman | Vorwärts und nicht vergessen! Influenced by the libertarian writings of Johann Most, Goldman became an anarchist. 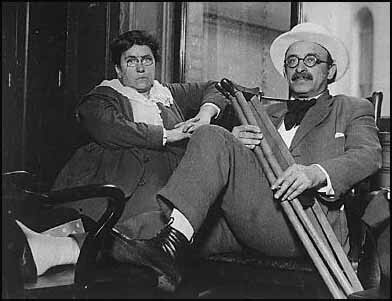 Working closely with Alexander Berkman, Goldman became active in the trade union movement. In 1892 Goldman and Berkman started a small business in Worcester, Massachusetts, providing lunches for local workers. Later that year Amalgamated Iron and Steel Workers Union called out its members at the Steel Homestead plant owned by Henry Frick and Andrew Carnegie. Frick took the controversial decision to employ 300 strikebreakers from the Pinkerton Detective Agency. The men were brought in on armed barges down the Monongahela River. The strikers were waiting for them and a day long battle took place. Ten men were killed and 60 wounded before the governor obtained order by placing Homestead under martial law. Alexander Berkman was so appalled by Frick’s behaviour and decided to make a dramatic gesture against capitalism. After gaining entry into his office, Berkman shot Henry Frick three times and stabbed him twice. However, Frick survived the attack and made a full-recovery. Found guilty of attempted murder, Berkman was sent to Western Penitentiary of Pennsylvania in Allegheny City. Goldman was also imprisoned the following year when she was accused of urging the unemployed to steal the food they needed. After she was released from prison Goldman became involved in the campaign for women’s suffrage and birth control information. She was in the news again in 1901 when Leon Czolgosz, who assassinated President William McKinley, claimed he had been influenced by the speeches of Goldman. After the death of Johann Most, Berkman and Emma Goldman became the leaders of the anarchist movement in the United States. They published the radical journal, Mother Earth and books such as Goldman’s Anarchism and Other Essays (1910) and and The Social Significance of the Modern Drama (1914). They also helped organize the Ferrer School in New York City and industrial disputes such as the Lawrence Textile Strike. A. Mitchell Palmer claimed that Communist agents from Russia were planning to overthrow the American government. On 7th November, 1919, the second anniversary of the Russian Revolution, over 10,000 suspected communists and anarchists were arrested. Palmer and Hoover found no evidence of a proposed revolution but large number of these suspects were held without trial for a long time. The vast majority were eventually released but Goldman, Alexander Berkman, Mollie Steimer, and 245 other people, were deported to Russia. Goldman and Berkman, who had already been appalled by the way that Lenin and Trotsky had dealt with the Kronstadt Uprising decided to leave Russia. Berkman wrote: „Grey are the passing days. One by one the embers of hope have died out. Terror and despotism have crushed the life born in October. The slogans of the Revolution are forsworn, its ideals stifled in the blood of the people. The breath of yesterday is dooming millions to death; the shadow of today hangs like a black pall over the country. Dictatorship is trampling the masses under foot. The Revolution is dead; its spirit cries in the wilderness…. I have decided to leave Russia.“ After a brief stay in Stockholm, he lived in Berlin, where he published several pamphlets and books on the Bolshevik government, including The Bolshevik Myth (1925). In 1926 Nestor Makhno joined forces broke with Peter Arshinov to publish their controversial Organizational Platform, which called for a General Union of Anarchists. This was opposed by Goldman, Vsevolod Volin, Alexander Berkman, Sébastien Faure and Rudolf Rocker, who argued that the idea of a central committee clashed with the basic anarchist principle of local organisation. Goldman visited Spain in September 1936 to observe the Spanish Civil War. After meeting leading figures in the National Confederation of Trabajo (CNT) and Federación Anarquista Ibérica (FAI) she went to London and opened a FAI-CNT propaganda office. She also joined with Rebecca West, Sybil Thorndyke, Fenner Brockway and C. E. M. Joad to establish the Committee to Aid Homeless Spanish Women and Children. Goldman visited Spain in September 1937 and in the autumn in 1938. Emma Goldman was in Toronto when she died on 14th May 1940. The USA government decided to give permission for her body to be buried in Chicago.